Hi again, I hope you’re all coping with the January blues. I started the year off, by doing something unheard of for me on New Years Day. After copious amounts of prosecco I was somehow hangover free, and outside in the freezing wind chills of the North Sea with Jay (the fella) scrubbing the back of our newly purchased Transit clean for welding . I made up for it on the following day, and took full advantage of my last days holiday, meeting mates in Tilley’s for a few too many pints. Looking back, not the best decision when I was back to work the next day . Merry conservations focused on the usual, New Years resolutions and how we planned to make 2017 a better year. For me along with healthy eating (lets be honest I work in the best place for it); getting fitter again (I want to smash my GNR time from last year) ; and helping Jay to convert the transit into a campervan for April (hence the New Years Day cleaning) . My main aim for 2017 is to begin work on the Yesterday Society’s website and carry on writing this blog. Create an online shop to spread the reach of The Yesterday Society. Archive all past events, catwalks and photoshoots we have been involved in and continue to update with new things. Create pages with descriptions and photographs of trends and fashions for each decade. I get a lot of people calling in and asking for advice so figure an online tool could be helpful. Set up a mailing list to keep customers in the loop of new stock coming in, special offers and any events we are involved in. 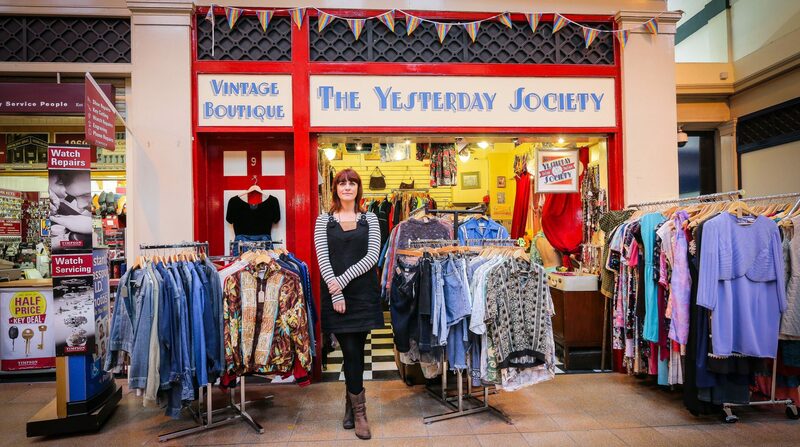 Set up a customer area with a bios and photos page, it is The Yesterday Society after all and you guys are a trendy bunch so would be great to get you involved. Continue with the idea of The Yesterday Society on tour photographs, but add in customer photos of their own trips including a Yesterday Society on Tour sign, for a chance to win prizes. It would be great to get some feedback and hear any ideas from you lovely lot. Cheers and good luck with any unbroken resolutions . Previous PostPrevious New Year New Me! Next PostNext January ain’t so bad!